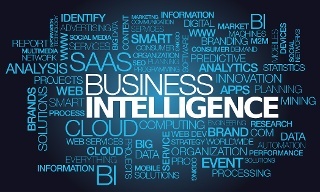 Business Intelligence (BI) is a hot topic in business these days. But what does it mean and why is it important to your business? In this blog I will discuss BI and the benefits of implementing a BI solution. BI refers to the processes a business uses to view, analyze and understand data relevant to its history, current performance or future projections. The goal of BI is to help decision makers make informed decisions to guide their business. Business intelligence software, such as SharePoint, helps businesses easily aggregate, see and “slice-and-dice” data. Effectively employing a BI solution can help you transform data into business insights that promote growth, increased revenue and better understanding of your business’ strengths and weaknesses. When businesses record and report their processes on multiple, unconnected spreadsheets and programs, significant time is spent collecting data for reporting. There also is the risk of duplicating efforts because data is not maintained in a centralized location. Even worse, your staff is spending more time compiling data instead of analyzing it. A BI solution automates data compilation and stores it in a central location. This approach saves staff time and reduces the chance of redundancies. Small and medium-sized businesses often rely on their IT department to develop reports. Doing so can delay the receipt of information when an important business decision needs to be made immediately. A BI solution puts the power into users’ hands and allows them to create customizable, real-time reports for more accurate reporting. In businesses without a BI solution, performance management may only occur once a month, quarter or year. There is no way to easily view current performance in order to make business decisions. By implementing a BI solution, you will be able to gain insights not only into your business operations, and sales and marketing efforts, but also customer behavior and manufacturing costs. Determining which BI solution is best for your business is important. Stay tuned for the next blog in this three-part series—“Using SharePoint 2013 for Business Intelligence”—to learn more about the BI features SharePoint 2013 offers.